Posted November 28, 2016 by finnfemme & filed under Beauty, Fashion, Vintage. 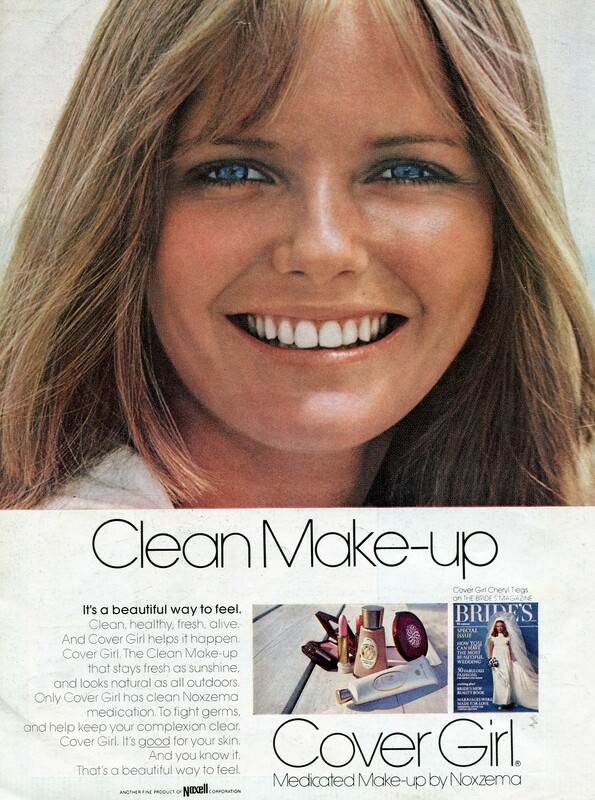 Cheryl Tiegs was a fresh-faced, natural looking model in the 1970s. With her California girl looks, she was the perfect face for Cover Girl’s Clean Make-up line. Clean Make-up was supposed to stay fresh as sunshine and look natural as all outdoors, while being infused with Noxzema medication to fight germs. Unfortunately, Cheryl now has taken it up as her mission to criticize gorgeous full-sized models such as Ashley Graham. I find this in very poor taste. Beauty comes in all shapes and sizes, and we should be celebrating health and diversity.